There is never enough Halloween to last the year. Valentwe'en is an attempt to adjust for that by offering a fun and spooky new spring hoiday. It is a mash up of holidays and combines elements of Hallowe'en and Valentine's Day. It is heralded by the Grim Cupid and is a dark romantic holiday. Give your sweetheart a black calla lily and take a stroll on the local ghost walks. Give those you love your heart -- (made of chocolate and sweets, of course). Create a Valentwine in the vein of the classic poem: Roses are red, violets are blue, blood is sweet and so are you! Dress as your favorite couple -- Mortica and Gomez, Audrey and Seymore, or, for more contemporary couples, Bella and Edward (or, if you are team Jacob, get your wolf on!). If your Valentwe'en is solo, wear your best goth to the party. 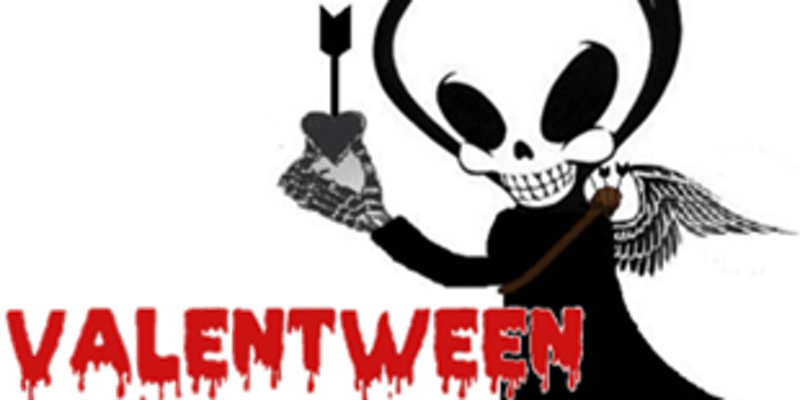 Brandy Stark of the SPIRITS of St. Petersburg, a professor and 20 year paranormal investigator, will be hosting a Valentwe'en Ghost Tour at Art Lofts on Feb. 16, 2019, from 7 - 9 PM. Tour includes a ghost hunting 101, the history of the building, and a walk through of the haunted areas. Tickets for the ghost tour are $20. This year, Valentwe'en will be celebrated in the form of an art show -- show us your Victorian best! Artists are welcome to enter 1 work per person, free of charge. Sales should be worked out between artist and patron, and all funds go to the artist. There are also a limited number of wooden 5 inch wooden coffins that artists may make into Valentwines. Coffins will be provided to artists to decorate as they wish and sales will be split with the SPIRITS of St. Petersburg, the co-hosts of this event, to help cover costs for the event. The show will run from Feb. 2 to March 1, with an opening reception coinciding with the art walk, 5 - 9 Feb. 9. Artists are encouraged to attend.